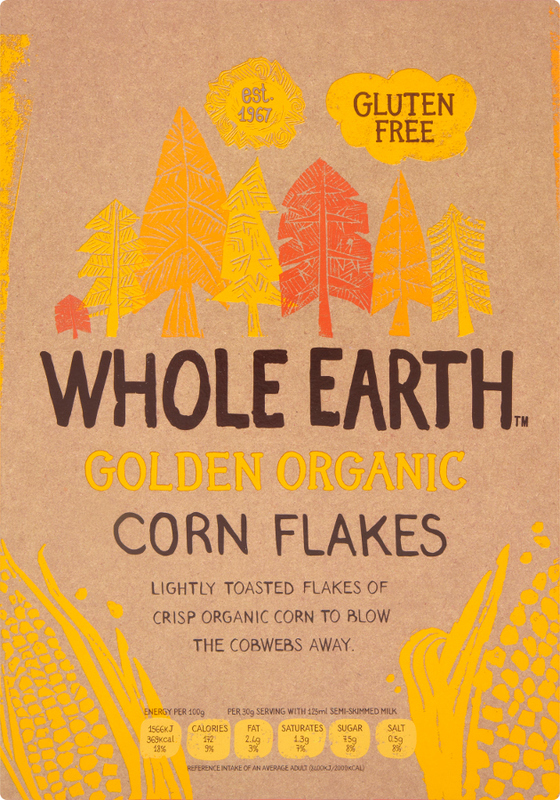 Whole Earth's organic Corn Flakes are a great way to start the day. Crispy and crunchy, these natural flakes of corn are not only tasty, but are also low in fat and saturates and are naturally gluten free. 375g. Corn* (91%), Raw Cane Sugar*, Salt, Emulsifier: Soya Lecithin*. Once opened, fold over the inner bag to keep the corn flakes fresh and store in a cool, dry place. 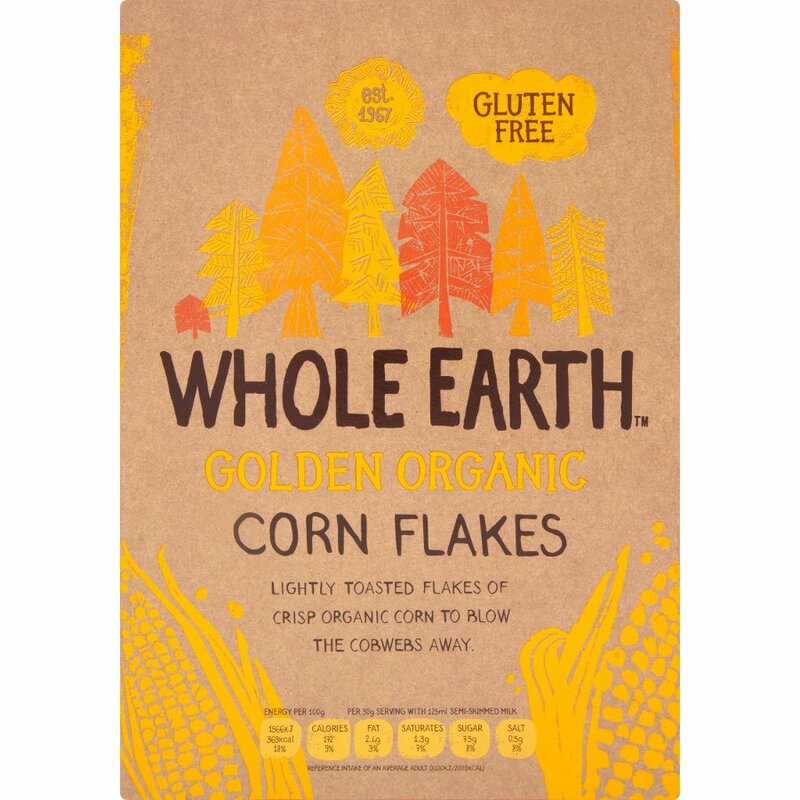 The Whole Earth Organic Classic Cornflakes 375g product ethics are indicated below. To learn more about these product ethics and to see related products, follow the links below. Crunchy and delicious and tastes more natural compared to mainstream brands found widely in shops. Great Cornflakes, great flavour, crispy. There are currently no questions to display about Whole Earth Organic Classic Cornflakes 375g.